I'm excited to be participating with so many other bloggers today with my contribution to the Handmade Holidays Blog Hop 2014. 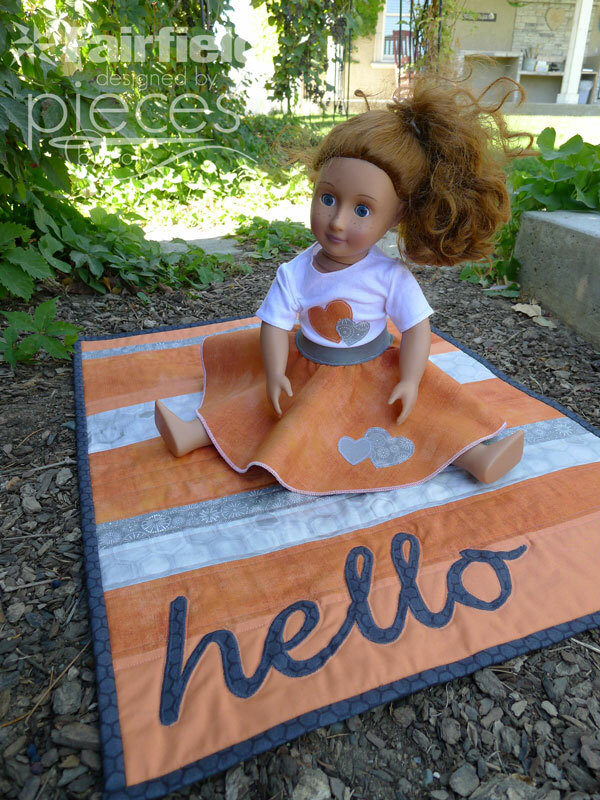 I'll be sharing a "Hello" Mini-Quilt, the perfect gift to give to your favorite hostess to help her welcome guests into her home. Welcome to the final day of the 4th Annual Handmade Holidays Blog Hop! We hope you enjoyed the projects from the last 2 days! A few years ago we were looking online for handmade gift ideas and thought it would be great if there was a resource dedicated JUST to handmade gift ideas. Enter the Handmade Holidays hop! 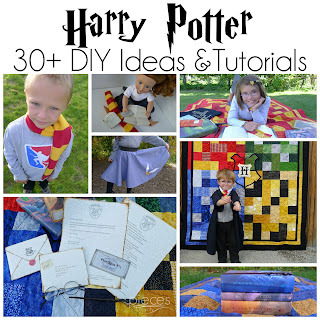 I love a good mini-quilt and they make wonderful gifts. This one sews up really fast since the base of the quilt is just simple strips. 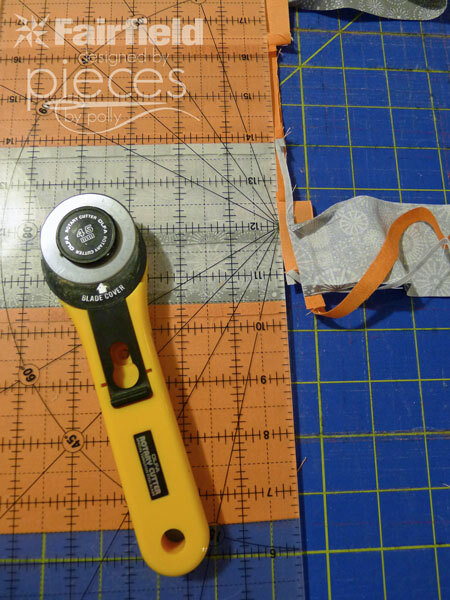 You could purchase yardage specifically for this, or just use some scraps. You could also make it a variety of sizes. 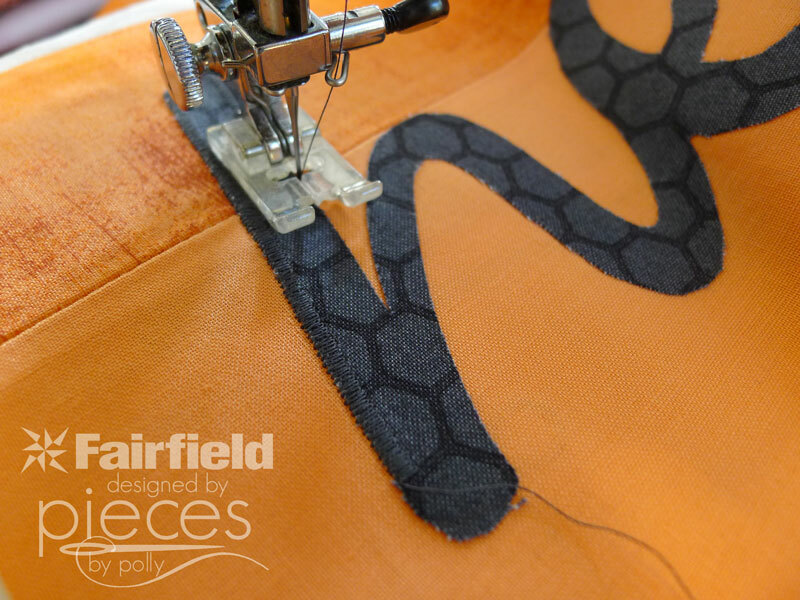 Start by cutting strips of your chosen length in various widths from your fabrics. I chose to make mine about 21 inches wide because I could use fat quarters. My finished quilt was about 21 x 27 inches. I wanted a salmon and silver color scheme and used four different fabrics. 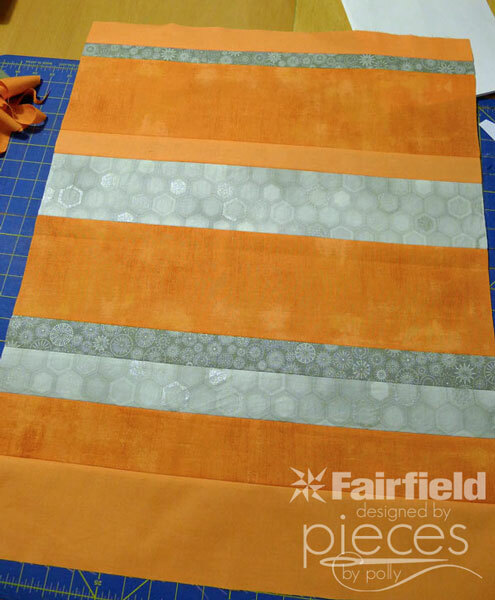 You'll want some wide strips and some narrow ones to give your quilt some visual interest. Don't be afraid to cut a few extra strips, so you've got some extra to play with. Arrange your strips in an order you like. 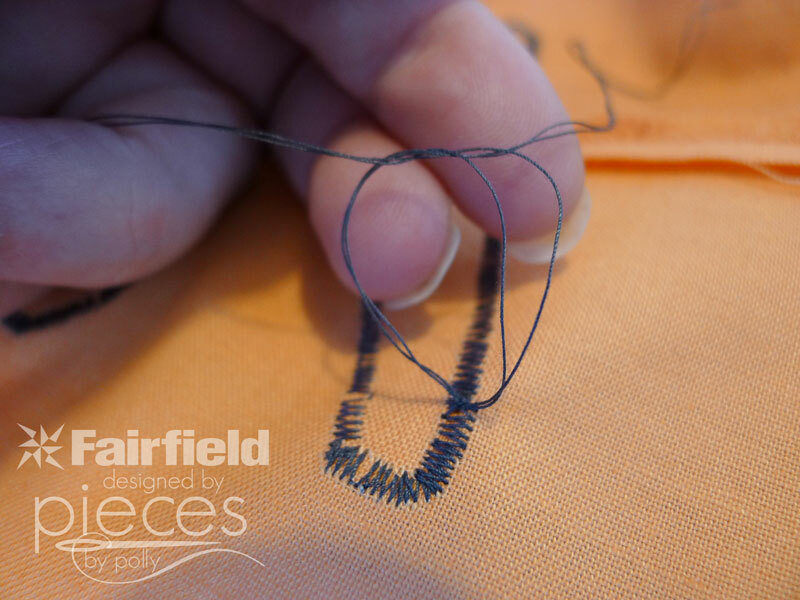 Remember that as you sew, it will "shrink" in length when you "lose" your seam allowances. 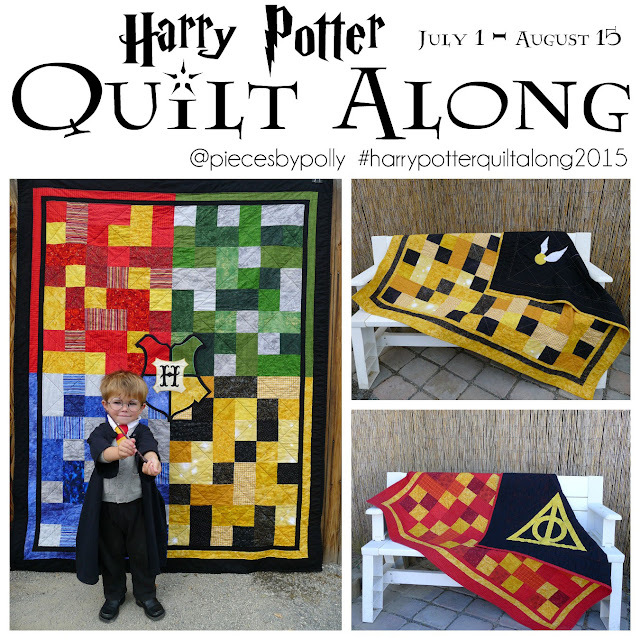 Your quilt is going to look "too long" at this point for it's width. 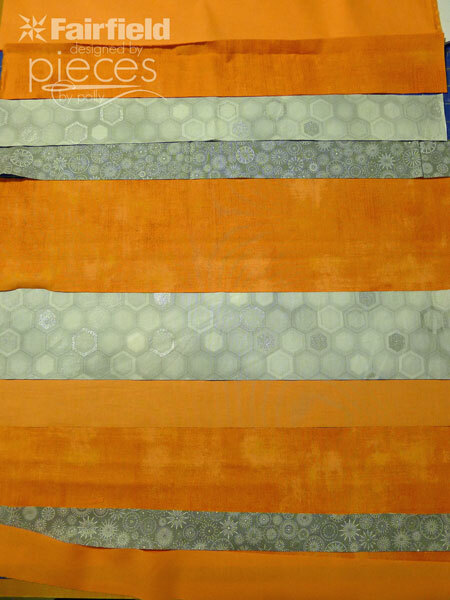 Sew your strips together using 1/4 inch seam allowance. Since my fat quarters weren't exactly the same width, I had uneven ends. You'll want to trim those up with a quilting ruler. 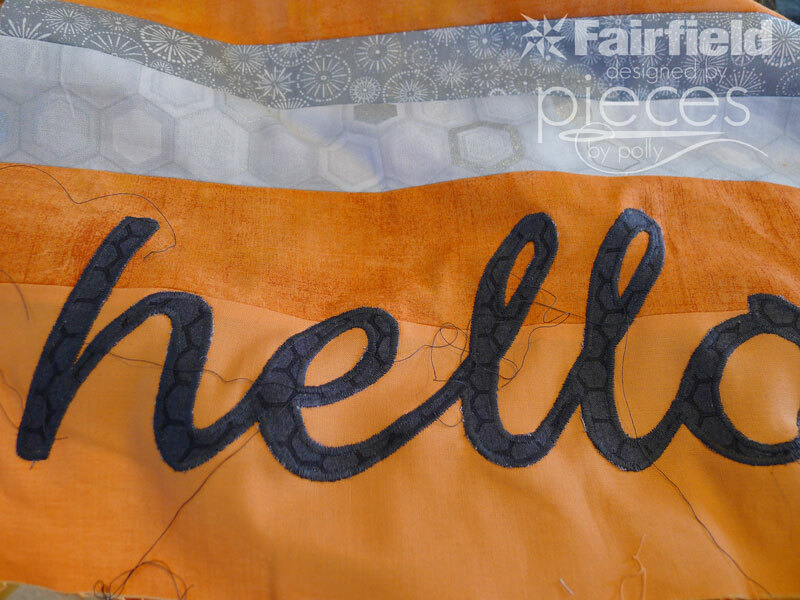 Now we're ready to applique our "hello" onto the quilt. I just used a font I liked on my computer to make my hello. You can download a copy of mine here. 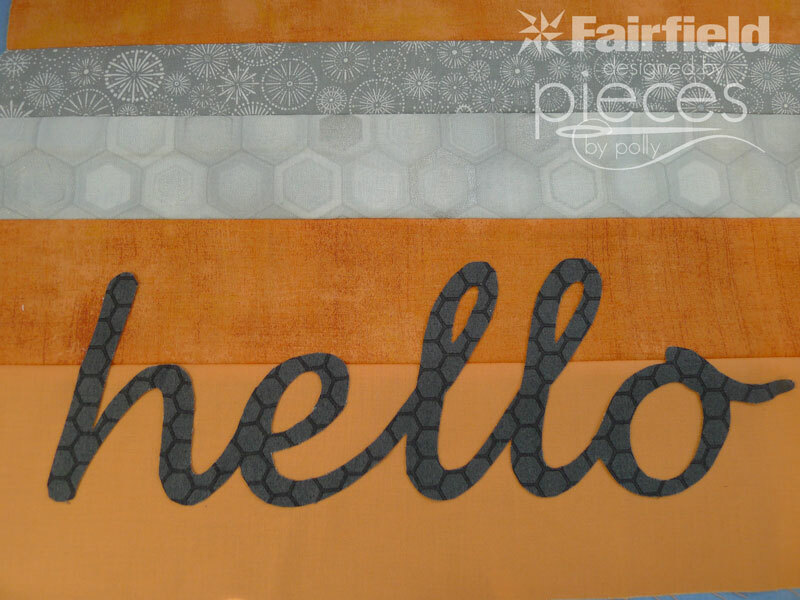 I applied the hello to my quilt using Stick Interfacing (part of a new line from Fairfield World...look for it in stores soon. Disclaimer: I'm a Master Maker for Fairfield World and they provided me with free samples of their products, and compensate me for sharing my experiences. All opinions and ideas shared are my own.) 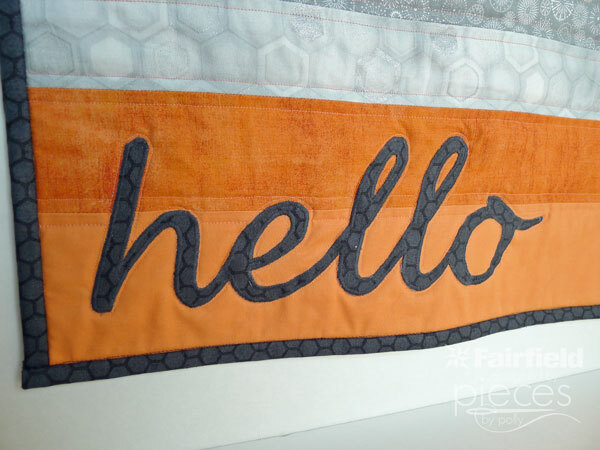 I always love to have something in quilts that seems to break boundaries, so I made sure my hello went over one of the seams. I don't backstitch at the beginning or end. Instead I leave the thread tails long and pull them through to the back and tie a knot. So cute, I love it. Wish I still had kids in the doll stage. TFS! So cute! I might make one with our family's last name on it. Love your little quilt and as always your tutorials rock!